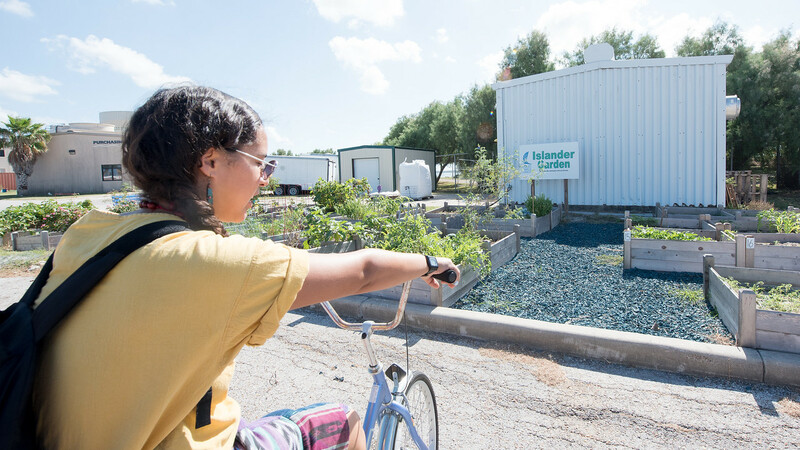 CORPUS CHRISTI, Texas – When life hands Melissa Zamora used coffee grounds she does the obvious – she composts. 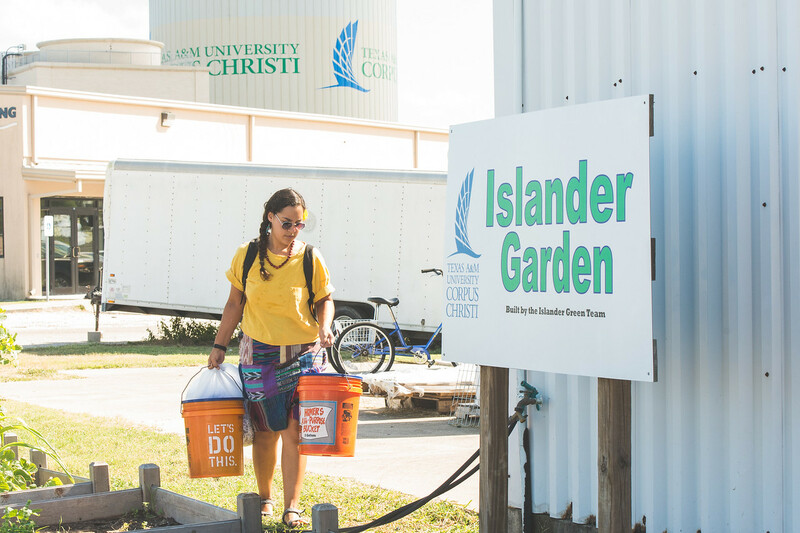 Since September she has collected and composted more than 300 gallons of used coffee grounds that have been recycled into nutrient-rich soil for the Islander Gardens at Texas A&M University-Corpus Christi. 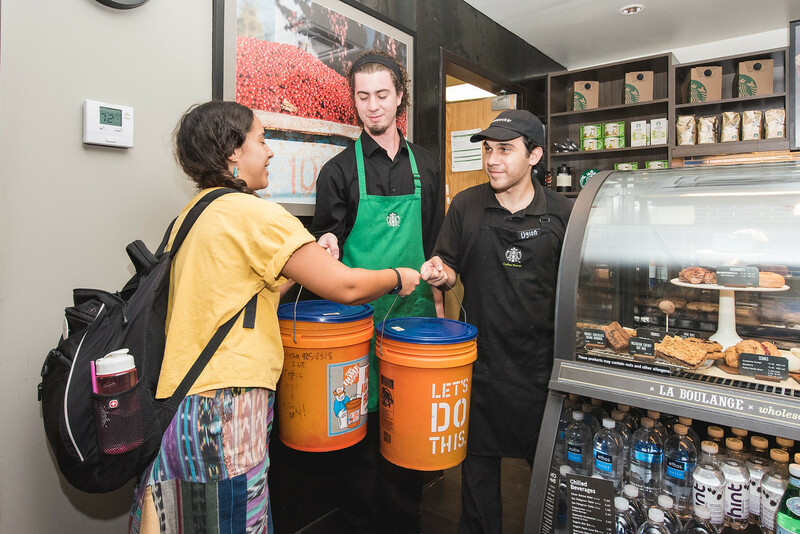 Zamora, a senior environmental science major and president of the newly formed Islander Green Team, came up with the idea to collect used coffee grounds from the on-campus Starbucks during her Introduction to Environmental Science class. 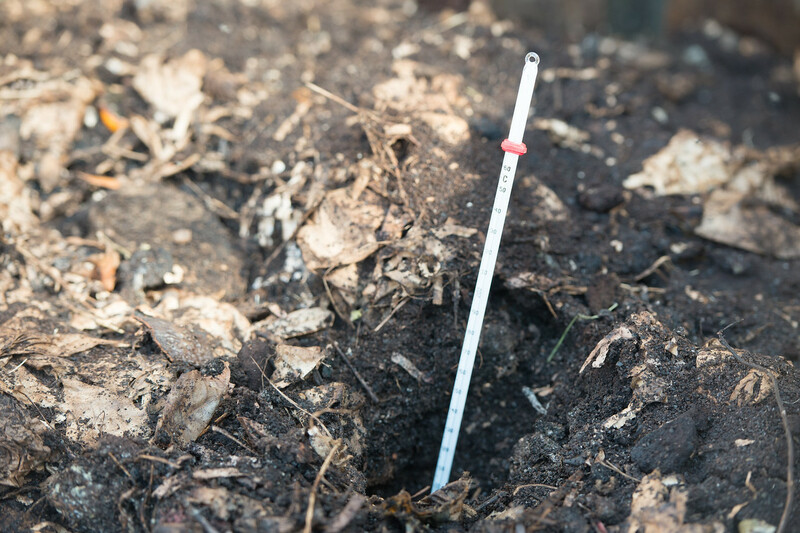 The soil, or as Zamora affectionately calls it, “black gold” is packed with nutrients, such as nitrogen, phosphorus, potassium, sulfur and iron. 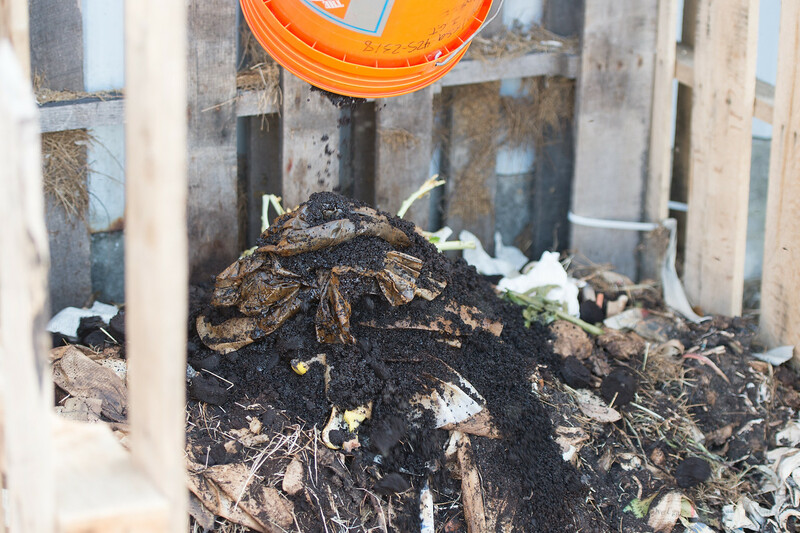 Used in a multitude of eco-friendly ways, compost can help improve soil texture and retain moisture during hot summer days. 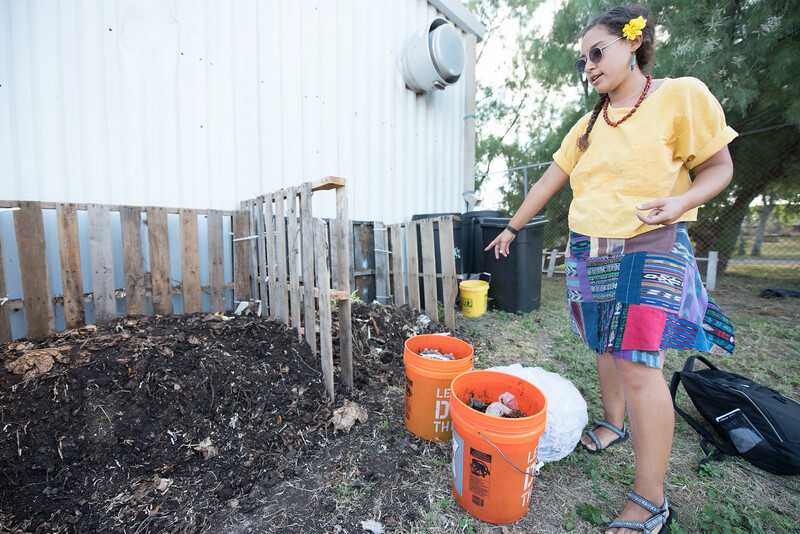 From fortifying the Islander Gardens to reducing the cost of campus landscaping, composting campus waste has many benefits. Zamora is not only looking out for the environment but she is also looking out for her fellow students. 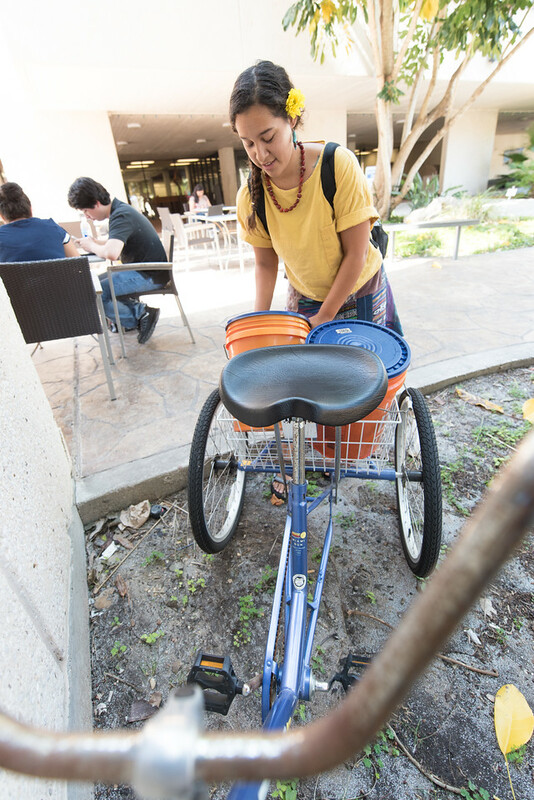 Zamora and the Islander Green Team student volunteers collect the used coffee in 5-gallon buckets every day and load it onto a tricycle that was donated by the University Police Department. They then bike across campus where the coffee is dumped on a new compost heap. 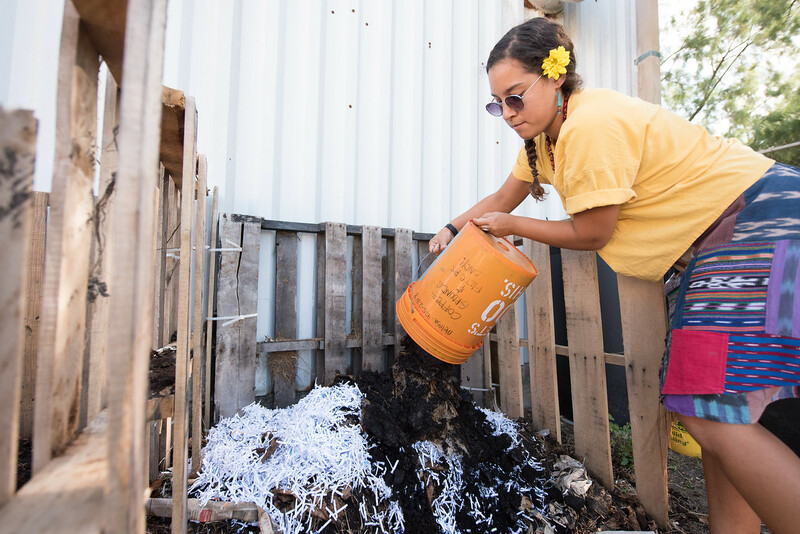 Shredded paper collected from the Harte Research Institute at Texas A&M-Corpus Christi, as well as vegetable scraps collected from the Green Team, is added to the pile to help create the perfect balance between carbon and nitrogen as it breaks down the waste. Ever the environmental scientist, Zamora continues to collect data on the project. 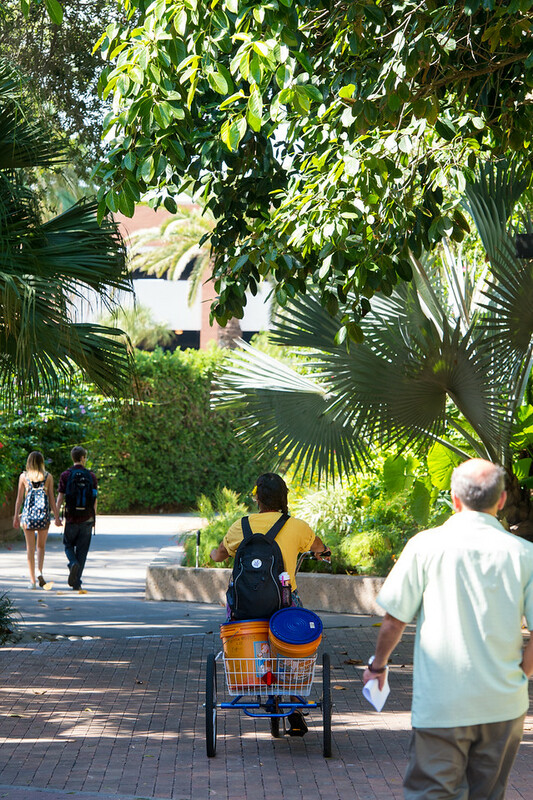 To keep track on the impact the project has on reducing campus waste, data is collected on the amount of waste gathered, the internal temperature of the compost pile, ambient temperature, the weather, moisture content and any insects that are present. 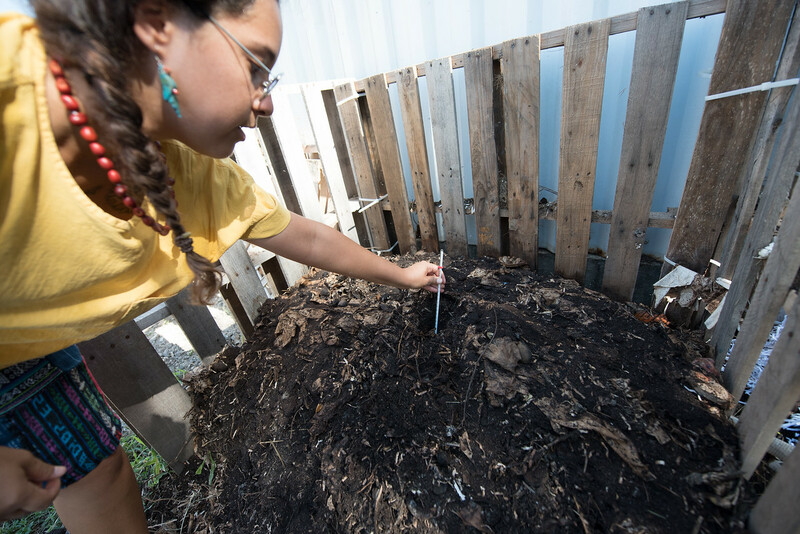 The project is currently in its first phase, with Zamora planning a trip to Texas A&M University-Kingsville to learn more about their well-established compost program. 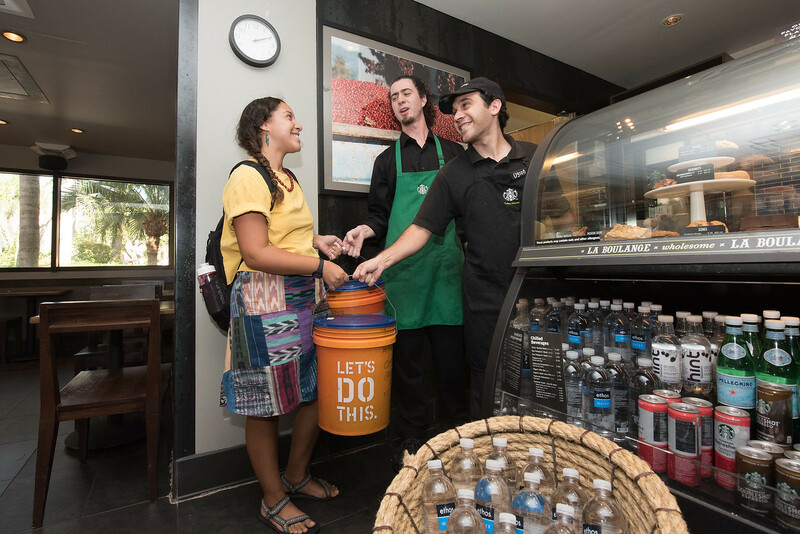 With the expansion of the project Zamora hopes to collect food waste from several areas on campus including the dining hall, student residences and office spaces. She is also proposing the creation of a “green job” system that would help pay students to collect the waste and maintain the compost. 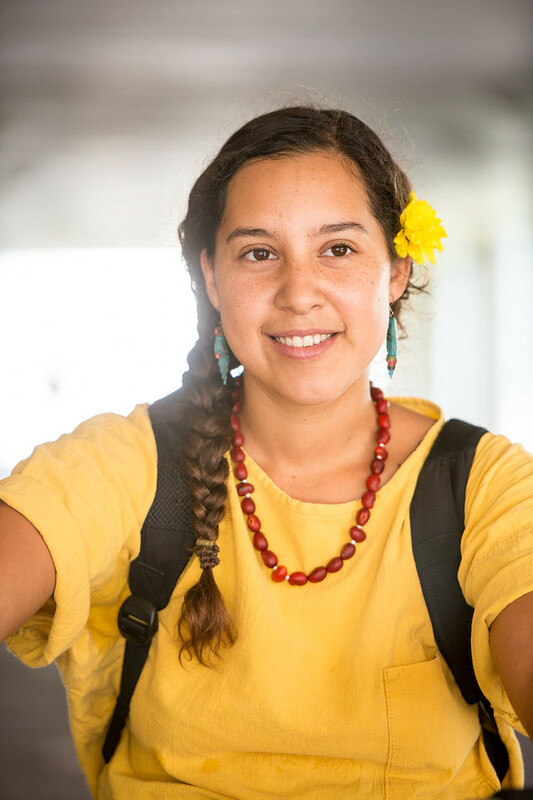 Zamora also hopes to share her ideas off campus. 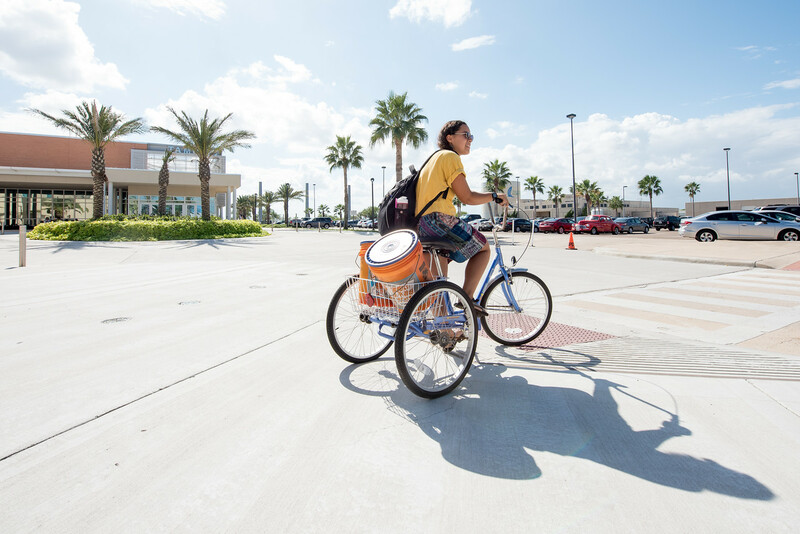 Islander Green Initiative was developed to publicize the growing number of projects and programs that promote sustainability at A&M-Corpus Christi. 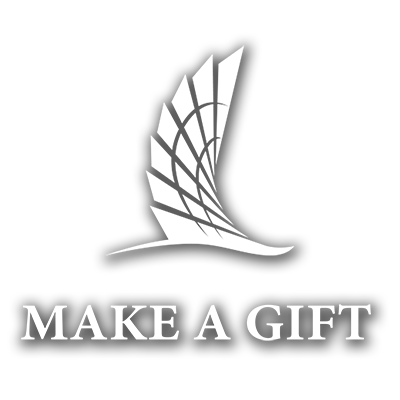 The Green Team, a student organization, currently supports the Environmental Advisory Council and encourages environmental stewardship while promoting school spirit among fellow Islanders.